The Vietnam Era Museum & Educational Center is the first museum of its kind in the United States. 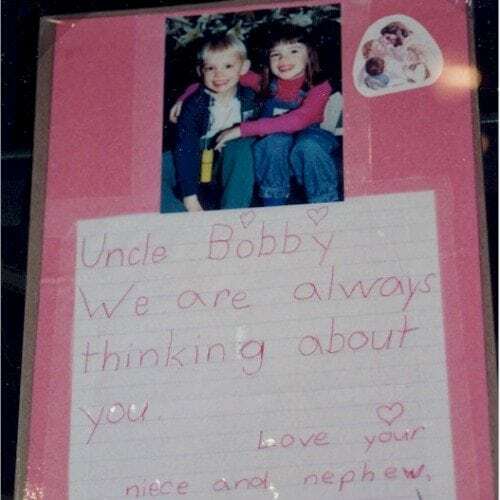 Dedicated in September 1998, the Museum provides political, cultural and historical context for the Memorial. 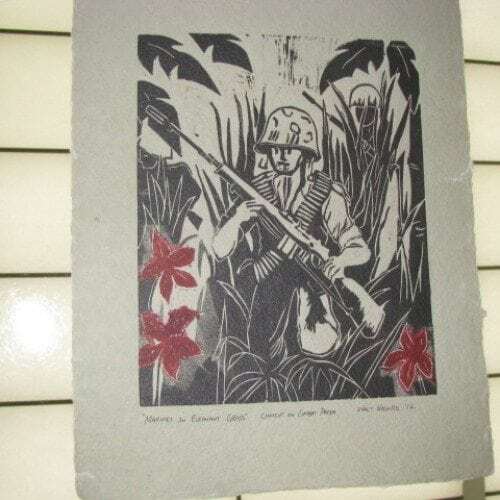 It helps visitors gain an understanding of the conflict in Southeast Asia and the surrounding political strife in America and its lasting impact on American culture, with an emphasis on experiences in New Jersey. 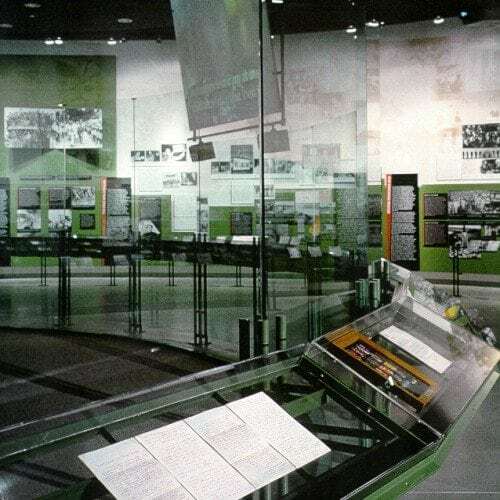 The Vietnam Era Museum & Educational Center enables all visitors to learn about the myriad of forces that produced the conflict abroad and the dissension at home. 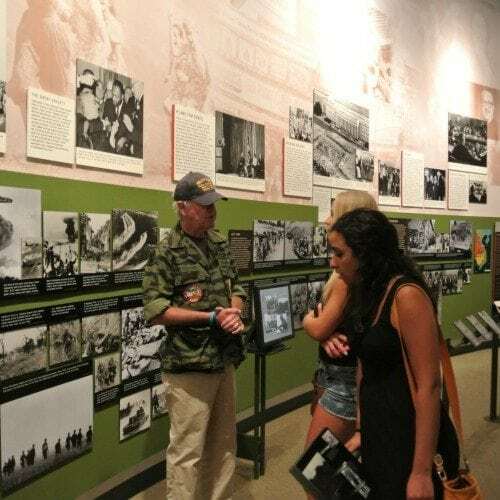 It provides an atmosphere where appropriate materials and exhibits help visitors understand the significance of the Memorial, the reality of the conflict, and the social, political and cultural complexities of the Vietnam Era. The Foundation hosts many educational and public programs within the Museum and has experience working with all types of classes and groups. Please visit our Group and Class Trip pages for more information. The 10,000 square foot facility includes a number of key components. Temporary exhibits are featured in the theater area and lobby of the Museum. These change three to four times each year and focus on a variety of topics related to the Vietnam Era including Veteran-created art, photography, popular culture, and military history. 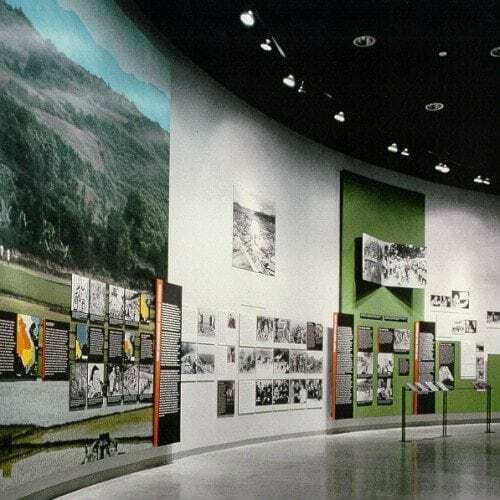 Covering the walls of the Museum is a chronology of the Era that presents a historical recollection of the events , shown in two concurrent timelines — one reflecting the activity in Vietnam and the other reflecting political, cultural and historical events in the United States. This allows visitors to gain a full perspective of the political, military, social, and cultural elements in play during this time. Interspersed along this timeline are touch screen computers that provide visitors with an interactive glance at historical events, as well as personal photographs submitted by Vietnam Veterans and their families. 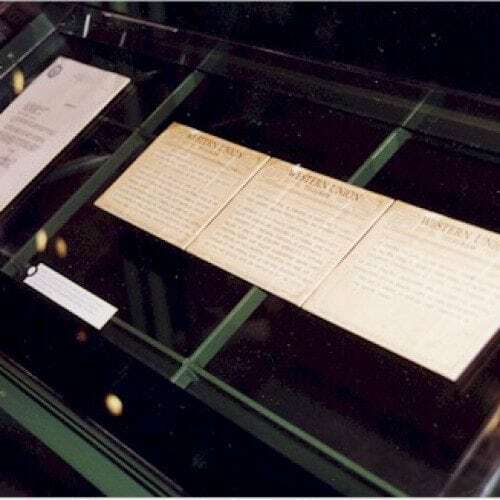 Complementing the historic timeline is the Circle of Letters, a chronological display of items collected from those who served and their supporters back home. These personal accounts help make the connection between the facts of War and the lasting effects it has on peoples’ lives. 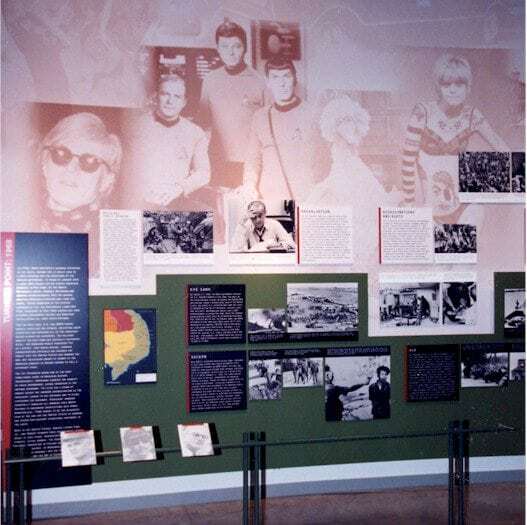 By sharing the oral histories of New Jerseyans who lived through this Era, the experiences of the Vietnam War and the 1960’s, the human side of this tumultuous time engage visitors. 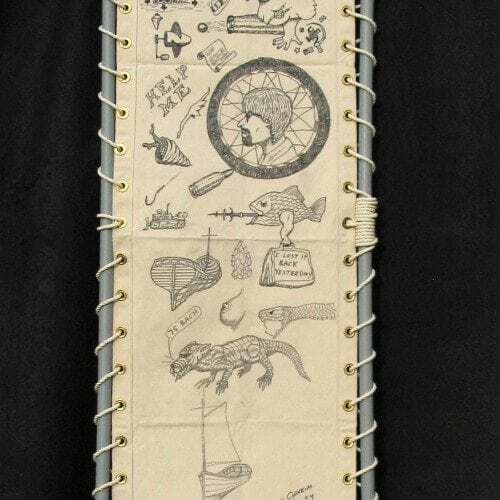 This vast array of memories bring personal voices to the many faces and experiences of the War. From a mother who lost a son, to a war protester, to a three-tour Veteran, these individuals represent the millions of people whose lives were forever changed by the Vietnam War and bring the hard, cold facts into the proper perspective. 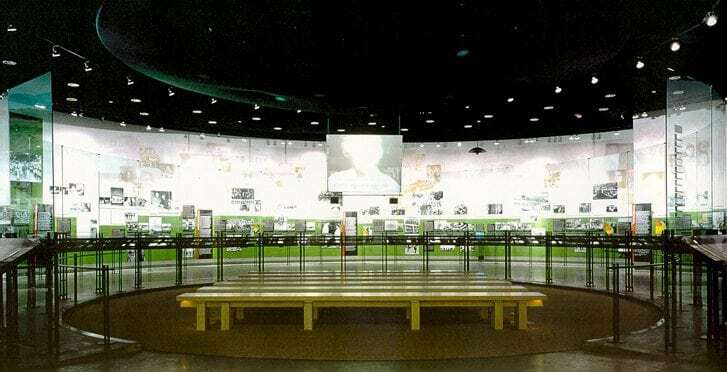 Below are clips from our Testimony Theater housed within Vietnam Era Museum & Educational Center. Our one hour presentation is broken down by topic into several shorter segments on each of the following topics. These are just a few of the clips from the video. The full video is on view at the Vietnam Era Museum & Educational Center. 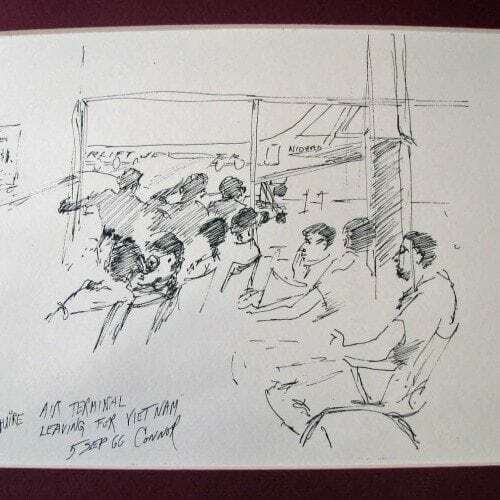 The following clip contain interviews discussing the experience of arriving in Vietnam. Part 1 of Arriving in Vietnam contains an interview with George Zaraycki describing his flight to Vietnam.Tom Conti also speaks of the climate and environment of Vietnam in contrast with the United States. Zaraycki also talks about the great intense fear that hit him upon his arrival in the foreign country. Robert Clarke speaks of how quickly he grew up after his tour of duty. Part 1 of Recalling the Vietnam War contains an interview with Andrew McFarlane who speaks of the difference in the warfare in Vietnam verses other wars.Anna Hickman discusses how she said goodbye to her husband before he left to go to Vietnam and how she worked through the grief of his passing. Part 7 of Recalling the Vietnam War contains an interview with Nick Mihalic discusses how he was shot in the battle and had to mend himself before he could assist others as a medic.Harry D’Ascenzo describes even further the feeling of being in a battle. Part 1 of Contradications contains an interview with Tom Conti who describes how you had to fight for yourself to survive in the Vietnam War. Howard Green talks about his involvement in anti-war demonstrations.Anna Hickman discusses how she felt that the anti-war demonstrators maybe prolonged the war while Howard Green disagrees. The following clips contain interviews focusing on leaving Vietnam from culture shock after landing in the U.S. to the fear of being shot down after take off.Part 2 of Departure contains an interview with Linda Caldwell who took a plane from Vietnam to San Francisco with 6 soldiers and a plane load of caskets. Robert Clarke describes traveling to Seattle and eating a good steak dinner. The following clip contains interviews describing reflections individuals have on their experience in the Vietnam War ranging from acknowledging years later that they may not agree with the mission of the War to having not wanting their own children to fight in another war.In Reflections, Robert Clarke struggles to understand if the War was just. David Martin fears having his own son sign up for the Marines. Harry D’Ascenzo reveals that he would not be able to be part of a war again because he could not physically take another life. The following clips contain interviews discussing the difficulties associated with coming home from the Vietnam War, to the lack of appreciation for their service, the stereotypes associated with being a Vietnam Veteran, and how their friends and families ignored their involvement in the War.Part 2 of Home contains an interview with Robert Clarke who is uncertain what the stereotype of a Vietnam veteran is, since he believes they are all different. George Zarzycki talks about how his first wife burned all his letters he had sent home the first day he came home. The following clip contain interviews discussing loss associated with the Vietnam War ranging from a wife talking about a deceased father to her children and the waste of life resulting from the War.Part 2 of Loss contains an interview with Howard Green who talks about how weak he believed the case for our involvement was in Vietnam. Richard Buncamper describes how his role in the War has made him believe that we have to avoid war at all costs. Tom Conti discusses how Vietnam does not go away and it is necessary to focus on it and try to understand it before it dies. This area of the building seats thirty to forty people. Its flexible design allows for lectures, meetings and teleconferencing. 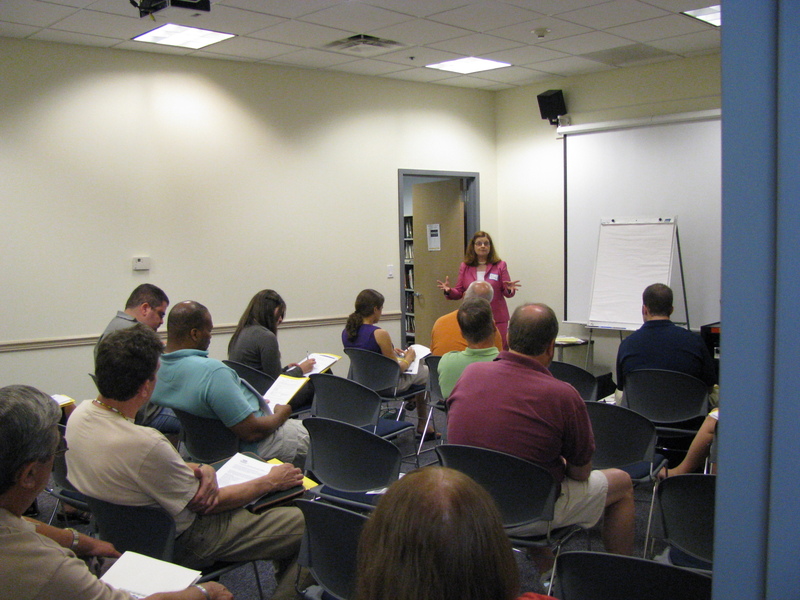 Additionally, docents use this room for educational programs with visiting school groups.